A simple card using mostly scrap cardstock. 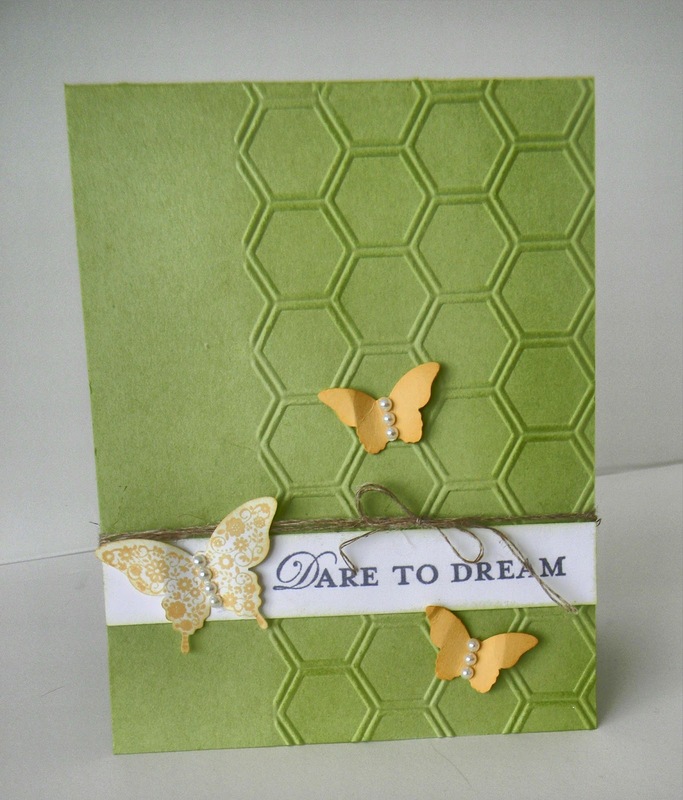 The front of the card was embossed with the Honeycomb Embossing Folder. I Stamped Dare to Dream on a scrap piece of Whisper white and punched out the butterflies with cardstock from my scrap bin as well. Oh, I did stamp the large butterfly first before punching it out. A great way to use those scraps up! 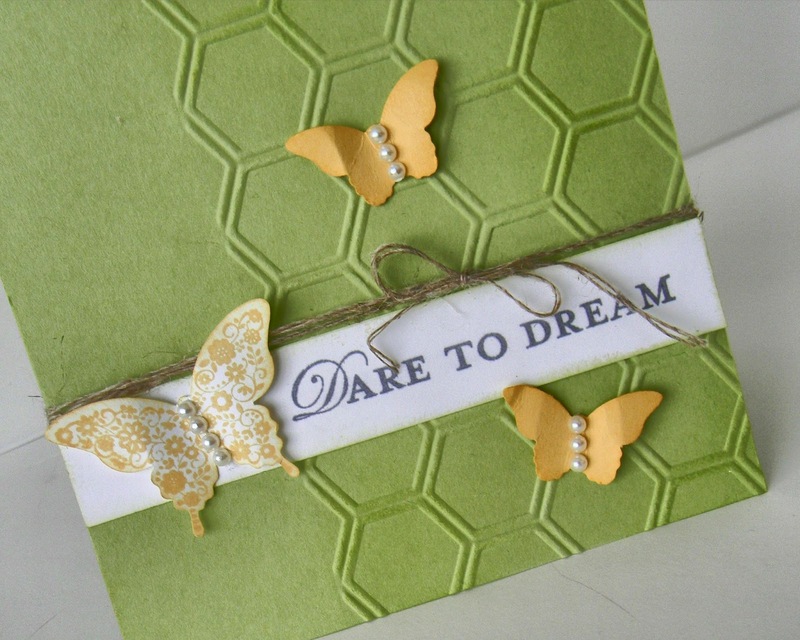 To add a bit of depth, I sponged parts of the honeycomb with Certainly Celery Ink - the same color as the cardstock, and sponged the butterflies with So Saffron Ink. This card did not take long at all to make. Love when a card comes together quickly.